 This website and the domains www.begur.cat and www.firaindians.cat are the property of Begur Local Council, the registered address of which is Plaça de l’Església 8, 17255 Begur; telephone number + 34 972 62 40 20 and email address begur@begur.cat. The Tax ID of Begur Local Council is P-1701400-B. The content of this site, including the texts, images, sounds, databases, code and any other material belong to Begur Local Council or to third parties that have authorised the use thereof. Begur Local Council presents its website for the purpose of information and to facilitate its relationship with private individuals and other public authorities. It therefore authorises users of the site to make use of this content for said purposes, to store the information on the hard drive of their computer, and to print or copy it using any storage medium. The usage thereof for commercial purposes, public communication or distribution, or any other form of exploitation by any procedure, is in general prohibited, as is the transformation or alteration of the content. Begur Local Council reserves the right to bring the relevant legal action to make good any damages and losses occasioned by any action in violation of intellectual property rights. You are nonetheless reminded that intellectual property rights and protection do not apply to legal or regulatory provisions or the texts corresponding to minutes, resolutions, opinions or debates of public bodies which might be accessible via this site. The official crest of the Local Council and other designs and logos identifying the Local Council or its bodies, services or campaigns and activities may only be used with the prior knowledge or authorisation of the Local Council. Usage of the municipal crest is in all cases dependent on payment of the official fee for the usage of signs, patents, and other distinctive symbols analogous to the municipal crest. The modification, copying or distribution of the code of the pages is entirely forbidden, without the express, written authorisation of Begur Local Council. Users undertake to make use of this site without engaging in any activities that could be deemed unlawful or illegal, or that would jeopardise the rights and interests of Begur Local Council or of third parties. The Local Council will accept no liability for any potential misuse by users. Begur Local Council will strictly comply with the regulations in force at any given time as to personal data protection, and will adopt the legally required measures to protect the personal data of users, maintaining their privacy and confidentiality. Begur Local Council understands that when completing the forms contained on the site, users have been sufficiently informed as to the purposes for which their personal data are gathered, and the purposes of the consequent data processing. Users thereby authorise Begur Local Council to process their data for the purposes stated in each case, and therefore authorise it to include their data in its filing systems or data processing, in accordance with the provisions of Organic Personal Data Protection Law 15/1999, of 13 December 1999 (the Data Protection Law). Users of the website who provide their personal data to Begur Local Council may exercise their rights of access, rectification, cancellation and objection in accordance with the provisions of the Data Protection Law, by contacting the Local Council in any form and by any means. Begur Local Council adopts the required measures and mechanisms to guarantee the security of any communications and transactions that might occur via the website, in accordance with the technological state of the art, and the type of transactions and services made available to users. Begur Local Council cannot offer an absolute guarantee that the website and server are free of viruses, and accepts no liability for any possible damages or losses that might result from interferences, omissions, interruptions, computer viruses, faults or disconnections in the operational functioning of this electronic system, for reasons outside the control of the Local Council. Nor does it accept liability for any delays or blockages preventing the usage of this electronic system as a result of defects or overloading of telephone lines or overloading of the Internet access system or other electronic systems, nor any damages that might be occasioned by third parties through unlawful intrusion outside the control of the Local Council. The permanent availability and continuity of the functions of the website and its services are not guaranteed. Whenever reasonably possible, prior notice of interruptions to the functioning of the website and services will be given.  Begur Local Council reserves the right unilaterally and at any time, without prior notice, to modify the presentation, configuration and content of the website, and likewise the offering of services and the conditions required in order to make use thereof. Begur Local Council will accept no liability for any information that might be obtained via links contained on the site. Presentations of the content of this site in a window not corresponding to Begur Local Council (framing) is not permitted. The use of this website entails full and unreserved acceptance of the terms and conditions set out in this legal notice. Any possible disputes regarding this website will be governed solely by the laws of the Spanish State and the Autonomous Community of Catalonia. All persons using the website, irrespective of the territorial jurisdiction from which they perform access, accept their fulfilment of and respect for this clause, expressly waiving any other legal forum to which they might have been entitled.